Our specialist team carry out repairs and maintenance to a variety of flooring and tile materials. 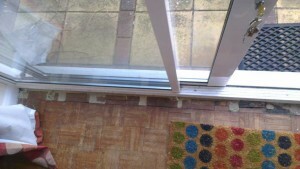 We are able to carry out repairs to surface damage with little to no trace of a repair. Carrying out a repair to damaged floors is important, whether you are a home owner, tenant, land lord or builder, damaged flooring creates trips and cutting hazards. Our technicians carry out floor repairs daily on accidentally damaged and worn flooring, below you will be able to find out a little more on the vast amount of repairs we can do for you. We carry out repairs to all stones whether they are natural or artificial stone. Tile and grout sealing, this could be natural stone sealing or artificial stone sealing to floors. Tile grout removal, repairs to cracked grout where the tile has moved over time or the adhesive has failed. Adhesive cavity filling, we fill incorrectly fitted tiles with large adhesive voids with out removal of the tiles. 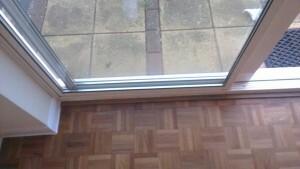 Dustless floor sanding worn and damaged areas of the property are completely transformed and look as good as new. Hardwood floor sealing, adding a protective layer often ensures your hardwood looks and feels great. Replacing damaged floor sections ensures a safe area to live in, preventing trips and removing sharp edges. Repairing chips and dents in flooring, invisible repairs are possible and avoids further damage to the flooring form water and grit etc. Chips and dents, over time laminate and veneer floors can become chipped and dented from accidentally dropping items on the flooring. Scratches, scratches are filled and colored to look like a natural piece of grain, sometimes it is possible to lightly sand repair veneer and laminate surface scratches. More information and a video is available at veneer floor repairs. Ceramic tiles are brittle and easily damaged, they are susceptible to heat shock damage from rapid expansion when cold. We carry out ceramic tile repairs on site in situ. Our skilled team of specialists are always able to make good repairs to tiles and flooring and restore them to their original condition. We repair a whole range of flooring and tile products at Repair and Restore including Ceramic Tiles,Porcelain Tiles, Laminate Flooring, Vinyl Flooring, Veneer Flooring, and Solid Wood / Timber Flooring, there is not much we are unable to repair. All the products the Repair and Restore team use are high quality and have been highly tested by both the manufacturer and ourselves, some of the products are well-known throughout the resurfacing industry. Our team of specialist are well-trained and must pass various test to become part of the Repair and Restore team our members are also tested yearly and their work is regularly checked for the highest quality, customers are also asked to give us their feed back, ensuring that tilling and floor repairs technicians carry out are of the highest quality.